The Albany Fire Department was called to the scene of a house fire on Hwy. 1351 Friday afternoon. 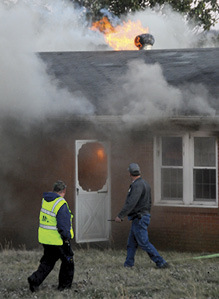 The cause of the fire is unknown, but it didn’t take long for flames to quickly comsume the structure. The home is owned by J.T. Owens, but it was unoccupied and no one was injured as a result of the fire.